When it comes to big-time home theater thrills, a lot is riding on your center channel speaker. When it comes to big-time home theater thrills, a lot is riding on your center channel speaker. It carries the lion's share of vocals and dialogue, as well as the music and sound effects found on most movie and TV soundtracks. Klipsch's RP-450C is more than up to the challenge. 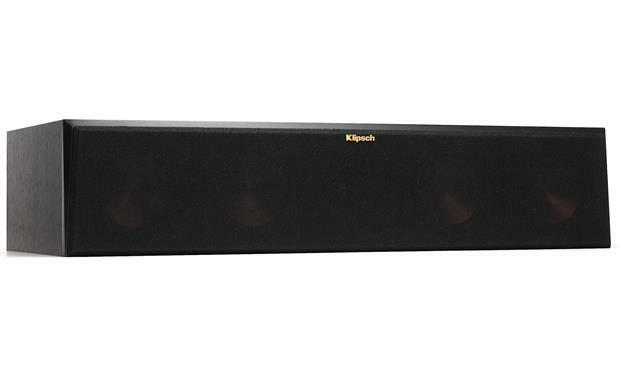 This powerful center channel speaker from Klipsch's latest Reference Premiere Series puts you right in the front row for exciting cinematic sound. The RP-450C features four 5-1/4" woofers for plenty of bass and midrange punch, plus Klipsch's signature 1" horn tweeter for outstanding intelligibility and sparkling clear highs. 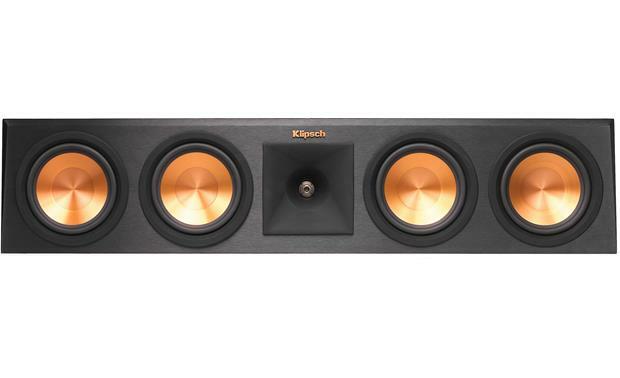 With its Hybrid Tractrix horn and Cerametallic woofers, the RP-450C center channel speaker is built to effortlessly deliver clear, powerful Klipsch sound. Horn technology is one of Klipsch's long-standing hallmarks. 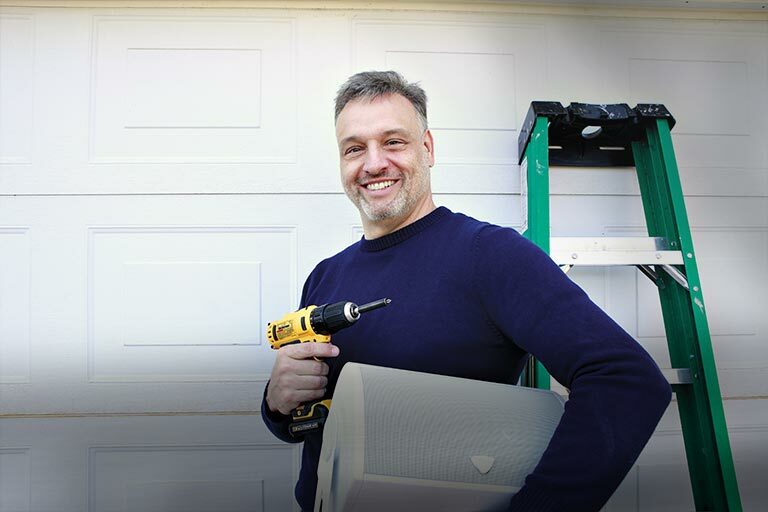 Flared openings in the speaker cabinet project sound waves toward your listening area and prevent them from simply spilling out in all directions. This design reduces reflections that can color the sound, and boosts dynamics and efficiency for powerful sound that remains crystal-clear at all volume levels. The RP-450C's Tractrix horn shaped port eliminates air turbulence for reduced noise and distortion. The RP-450C's Cerametallic™ woofers dish out smooth midrange and articulate, well-defined bass. Klipsch makes its cones out of specially treated aluminum that's strong yet lightweight, to dampen and prevent distortion. With the Reference Premiere Series, Klipsch also gave these woofers newly developed titanium voice coil formers that allow more linear movement for enhanced efficiency, lower distortion, and extended low frequency response. Team an RP-450C center channel speaker with other Klipsch Reference Premiere Series speakers to create a high-impact home theater system. 60" plasma tv with base. Probably pushing 75 pounds. Will this speaker support the tv? I think it'd be fine. I've got a 54" OLED tv, probably 35 or 40 lbs, on top of mine. My feeling is that twice that wouldn't stress it at all. 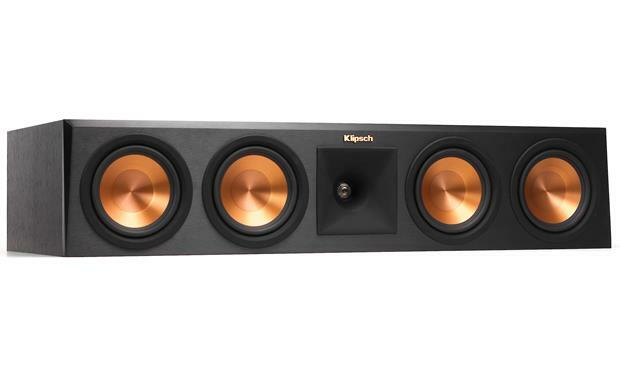 Cerametallic Woofers: The four 5.25" woofers of the RP-450C center-channel loudspeaker feature Klipsch's distinctive, copper-colored Cerametallic material. Made with an anodized aluminum, this cone is strong and dent resistant. The anodizing process converts its inner and outer surfaces to ceramic. The outcome is a rigid cone with superb damping characteristics that will not flex or resonate at frequencies within the woofer's operating range The 5.25" woofers also employ a rubber surround for added durability. Crossover Network: The Klipsch RP-450C center-channel speaker's crossover network is constructed using extremely high-quality components including top-of-the-line internal wiring, polyester film-type capacitors and an air-core inductor to ensure signal purity and proper driver integration. The speaker's enhanced crossover frequencies (500/1500Hz) offer smoother on-axis and off-axis integration. 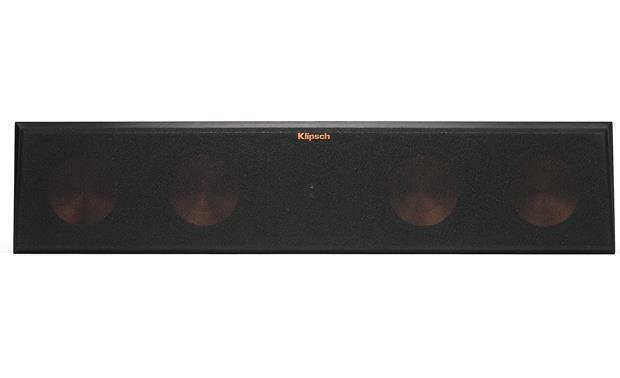 Bass Reflex MDF Enclosure: The Klipsch RP-450C employs a bass reflex enclosure with a rear-firing Tractrix port for greater efficiency and bigger bass response. Utilizing Tractrix geometry, the all new Reference Premiere bass port allows for the most efficient, fastest air transfer from the cabinet for a clean, powerful low frequency response. The speaker's rigid cabinet offers improved internal cross-bracing to minimize panel vibrations that can color sound. Binding Posts: The Klipsch Reference Premiere series RP-450C is equipped with sturdy binding posts to ensure a secure connection to many types of cable and connectors. The binding post terminals will accept banana plugs (single only), pin-connectors, spade-connectors, and bare wire. Placement: The RP-450C should be centered directly above or below your video screen. If necessary, you can place the speaker on an optional floor stand in front of and below the screen that elevates it to the correct height. Ideally, however, the speaker's front baffle should be flush with the front of the screen. My receiver is only 100 watts per channel at 5 or 6 ohms will it be enough? My receiver is 110 and it's driving rf280's and a pair of surround along with this center speaker and it sounds wonderfull. Awesome center speaker don't go for the size under it. I did and sent it back for this one. My receiver puts out 150 watts per channel. 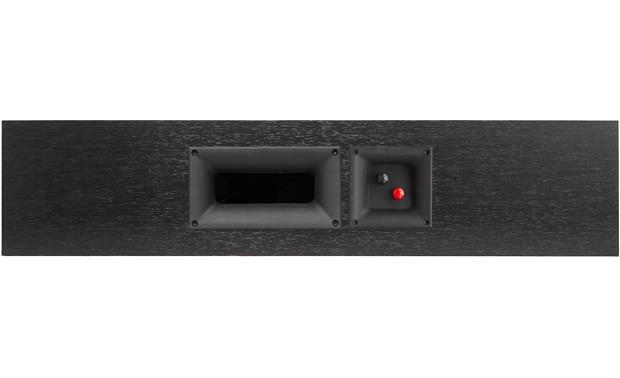 This center channel speaker can handle 150 watts per channel (600 Watts max) 8 ohms. Your receiver will work fine with this speaker. If you upgraded your receiver to one that puts out what this speaker can handle it would be providing optimum performance, but it will still sound great with your current receiver. I have my LG 55" with abase sitting on top of my Klipsch. It's pushing nearly 60lbs. I haven't experienced any problems so far. I don't see any reason why it shouldn't support the weight. If you have. Facebook page, send me a friend request for some photos of my theater. The centerpiece speaker should have no problem with the 60" flat screen all pending on the style of your base. My footprint has the feet toward the ends of the tv so not an option for me. i would strongly suggest you contact the manufacturer directly. While it may support, I am not sure that over time the top won't sag......ask the manufacturer directly. My center channel is below my tv, so my center is aimed at the couch I sit on. My old klipsch center had a leg that screwed in the bottom of my center channel to raise the front so it hit my ears. How can I do the same with this RP 450C ? how does it compare to the RF 62 for listening mainly to music? On the Klipsch website it said the 450 is compatible with 8 ohms. Does this mean I can run this at 6 ohms and be fine? Yes, as long as you don't go higher than 8 ohms you should be fine.